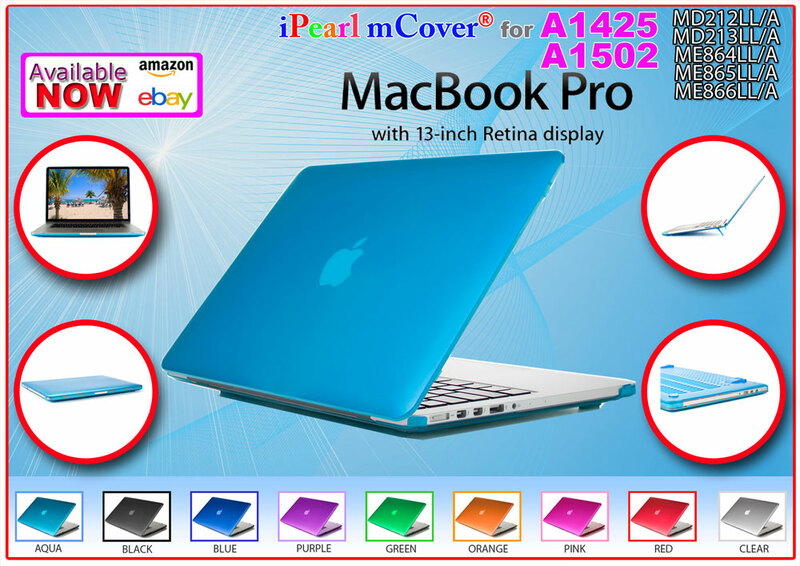 Made of high-quality USA-made polycarbonate material, which is shatter-proof and will protect your 13.3" A1425 / A1502 MacBook Pro with Retina Display all around. The only MacBook Pro Hard Case with foldable feet to let you type more comfortably. It also helps your MacBook Pro to stay cool. Rubber feet on the front side to prevent from slipping on smooth surface. 2-piece light-weight(10 oz or 285 g) shell easily snaps on and off. All ports and charging port are accessible. The MacBook Pro's original heat ventilation grill is NOT blocked. Extra ventilation holes near the battery compartment for better heat dissipation during charging. 9 vibrant colors available NOW. Does NOT work with 13.3" MacBook Pro A1278. 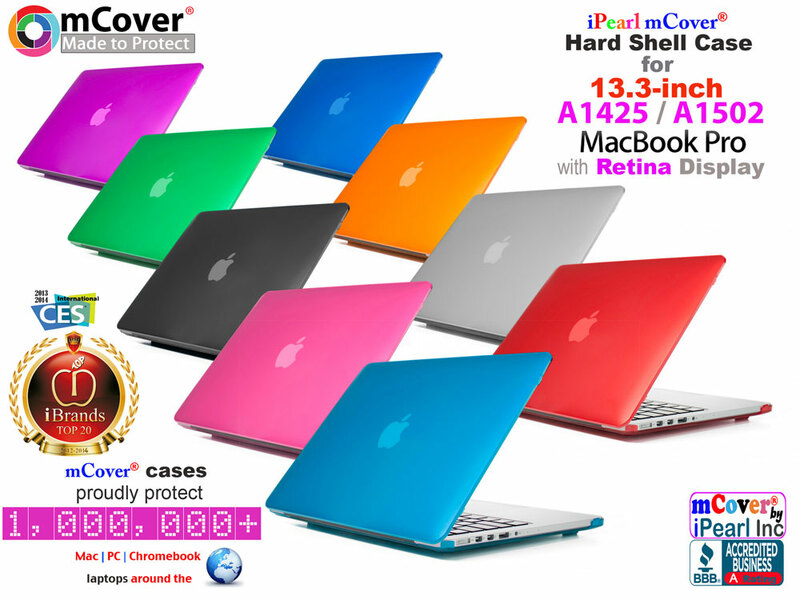 Please check our website for mCover® hard shell cases for 13.3" MacBook Pro A1278.